I have held my tongue (fingers?) 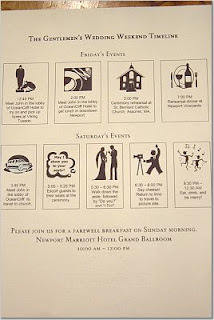 long enough- today I am going to post about all of those wedding details that have been driving me nuts as of late. Please bear with me, and I appreciate your sympathy. 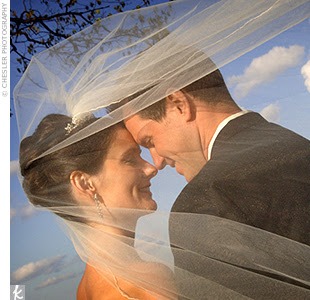 This is The Hatcher-Miller Wedding logo. 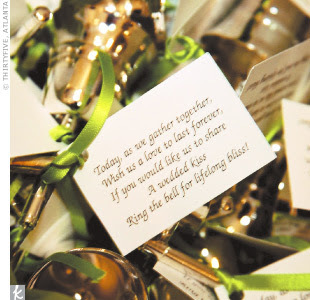 We are going to string jingle bells together and attach something like the wording below to them... just trying to make sure no one breaks the crystal glasses with all the clanking that generally occurs at weddings!! 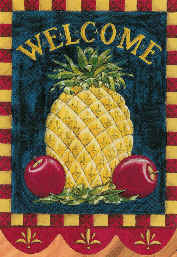 I think this is what we are going to do for seating cards at the reception. 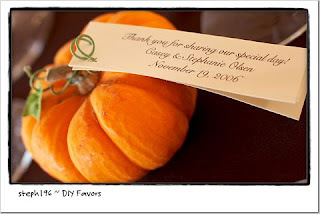 We can pre-make all the little tags and "vines" and attach them a few days before the reception. 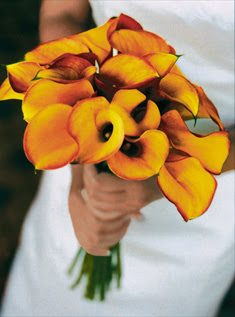 I thought they were very pretty and a good way to emphasize the fall theme again. 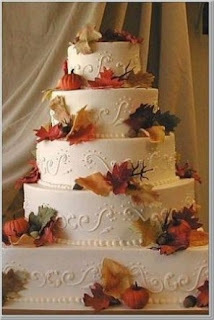 It was important to us to really incorporate our personality into the wedding which is exhibited first in the fall theme. 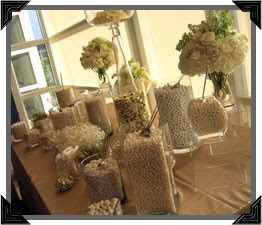 We loved the idea of making home-made jelly or jam as favors for the guests. 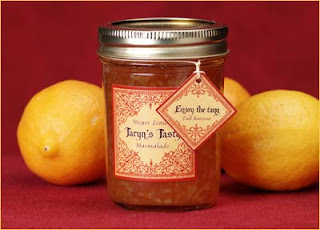 I would love to do some kind of label like you see below on the jar as well. 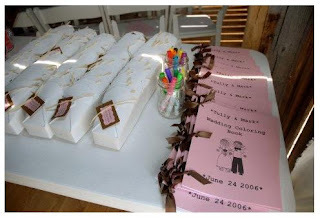 I thought this was such a cute idea for the kids at the wedding- personalized Kenney and Amanda wedding coloring books... I think there are some adults that will enjoy them too! 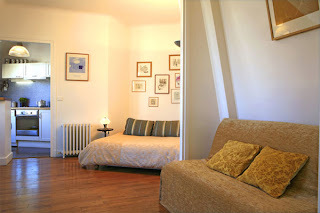 This one is very simple and elegant, which I like. 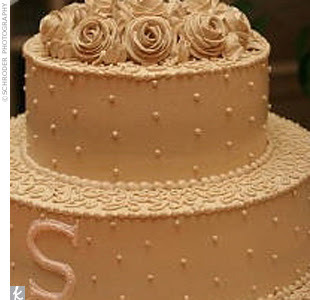 I especially love the mocha coloring. 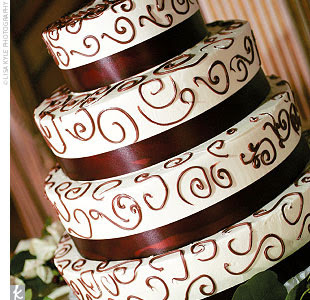 This one is really growing on me- I love the chocolate against the white background and the pattern on the cake is very elegant but yet maintains some simplicity. 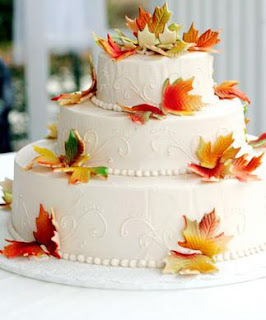 I think this is my favorite "fall" themed cake now. 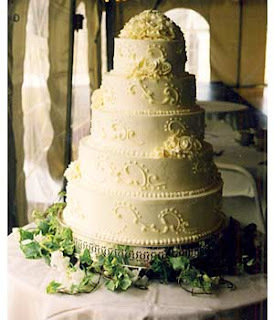 The more traditional cake... very pretty and classic. 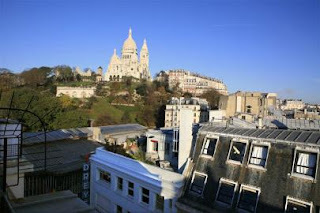 I love this one too... 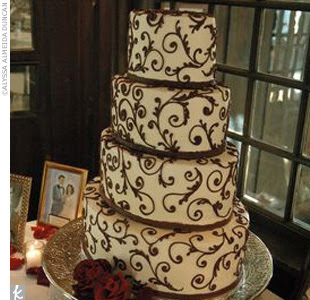 I love that the chocolate frosting has a hint of burgundy in it which would really tie it into the wedding colors. I am a little hesitant to put ribbon on it though just for cutting purposes. 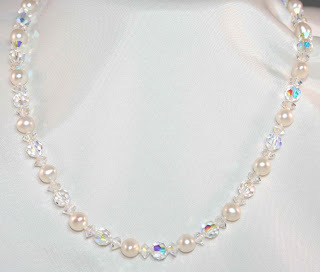 I am going to attempt to make a version of the necklace below...I love the original Winters & Rain necklace I tried on, but I don't want to spend that much money on one piece of jewelry. They haven't re-posted their jewelry pictures on their website yet, so I don't have a pic of the acutal necklace I want to make, but this will do for now. 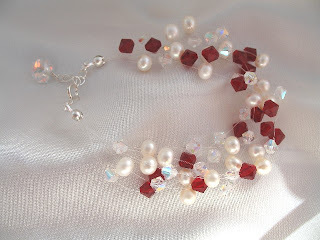 I also want to make the bridesmaid jewelry... I love this bracelet below, but I would do it as a necklace. This is the headpiece that I am also going to try to DIY. I am going to use Golden Shadow swarovski crystals instead of the white crystals though. The hint of gold in the crystals really works with my dress! 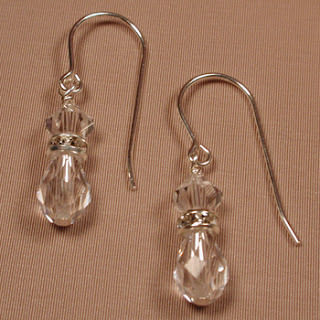 These are the earrings that I am going to make if I can find the tear-drop crystal in Golden Shadow. If I can't, then I will use just a simple round crystal at the end. 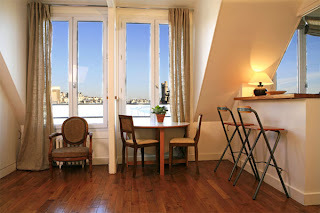 These are pictures of the flat that we booked in Monmartre, France... just a short metro ride from Paris and with all the luxury of our own apartment!! Thanks for bearing with me while I detail out some of our wedding plans. Laying all these details out here really helped me organize some of this stuff.... it makes me realize I have a lot of DIY projects to go!! OOH! The centerpieces are DONE! !